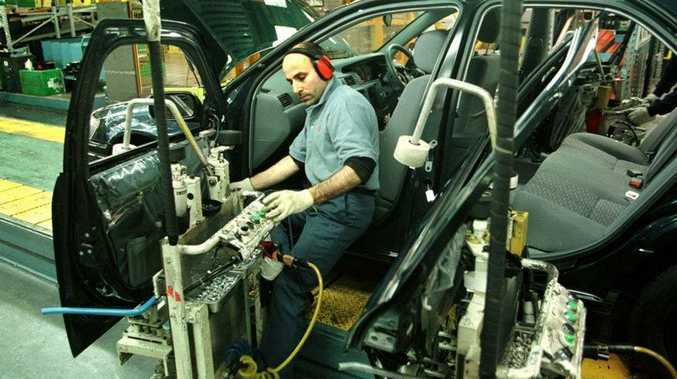 CEDA dossier says Aussie car makers should be given a tougher ride. BUSINESSES should score HECS-style loans and Australian car makers should be given a tougher ride, according to a new national report to be released today. The 202-page dossier from the Committee for Economic Development of Australia will be unveiled from 11.30am in Brisbane. In it, CEDA chief executive Professor Stephen Martin will tell guests that Australia must embrace reform if it is to prosper. His first suggestion is for the Federal Government to look closely at subsidies, particularly those aimed at protecting Australia's troubled automotive sector. "We cannot keep propping up industries that will not be sustainable in the long term," Professor Martin said. "Australia is at a cross-roads, we have a new Federal Government and the peak of the mining boom has passed. "Rather than hang onto the past, now is the time to identify and focus on the industries that will provide our future prosperity and appropriately skill people to work in these industries." Less subsidies, more incentives, he said. CEDA wants "income contingent loans" that would act like a HECS debt taken on by university students so that small businesses can pump cash into research or innovation. "This is an area where Australia is significantly under-performing compared to other advanced economies," Professor Martin said. CEDA's Australia Adjusting report also calls for the company tax rate to be lowered and governments forced to create long-term infrastructure plans.